Galaxy Zoo Mergers Wants You! A new website will give everyone the chance to contribute to science by playing a ‘cosmic slot machine’ and compare images of colliding galaxies with millions of simulated images of galactic pile-ups. These collisions, which astronomers call ‘galactic mergers’, could be the key to finding out why the Universe contains the mix of galaxies it does -- some with trailing spiral arms, others more like compact ‘balls’ of stars. Surprisingly, humans are much better than computers at spotting the best match between a real galactic merger image and a random selection of simulated merger images. Because the simulated images reflect the different variables involved in galaxy formation the data from people using the site, Galaxy Zoo Mergers, promise to revolutionize our understanding of these collisions. Galaxy Zoo Mergers, which goes live on 24 November at http://mergers.galaxyzoo.org is an international project led by scientists from Oxford University in the UK and George Mason University in the US. Users do more than simply select images, they can also take direct control of the simulations -- choosing ‘more’ or ‘fewer stars’ or ‘flipping’ galaxies -- in order to provide an exact match to what we see in the Universe. The project will focus on around 3,000 images of real galactic mergers identified through the Galaxy Zoo project -- it also features some new images of these mergers taken by the Hubble Space Telescope. The next stage will be to investigate the ‘before’ and ‘after’ of these colliding galaxies to work out what caused them and what will happen next -- rather like trying to capture the slow motion detail of the moments before a car crash and predict the aftermath. “These collisions take millions of years to unfold and so all we get from the Universe is a single snapshot of each one. By producing simulations, we will be able to watch each cosmic car crash unfold in the computer,” said Anthony Holincheck, a graduate student at George Mason University and galaxyzoo.org team member. The collisions examined in the project are a foretaste of what will happen when our own galaxy, the Milky Way, eventually merges with our galactic neighbor Andromeda in the distant future. * The original Galaxy Zoo project was launched in July 2007 and gave members of the public the chance to take part in astronomy research online. 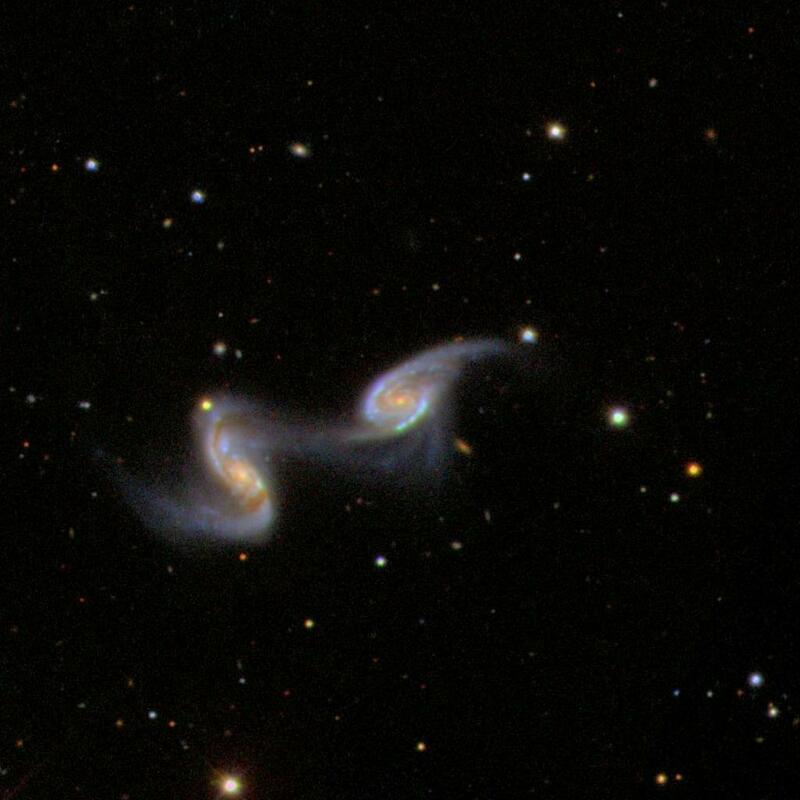 The first phase of the project asked users to classify galaxies, recording whether they were spiral or elliptical. * The Galaxy Zoo 2 website launched on 17 February 2009 at www.galaxyzoo.org asked volunteers to delve deeper into 250,000 of the brightest and best galaxies to search for the strange and unusual.